Create beautiful landing pages and customize them as you like! Win developers over as soon as they land on your portal. Give an interactive UI to your API descriptions. 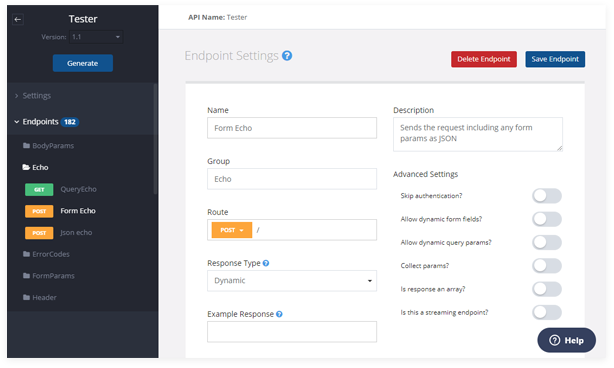 Allow developers to explore your API’s resources without touching any piece of code. Help the developers consume your API in languages or frameworks they are comfortable with. Ship high quality language idiomatic client libraries following all conventions. Generate language and IDE specific tutorials. 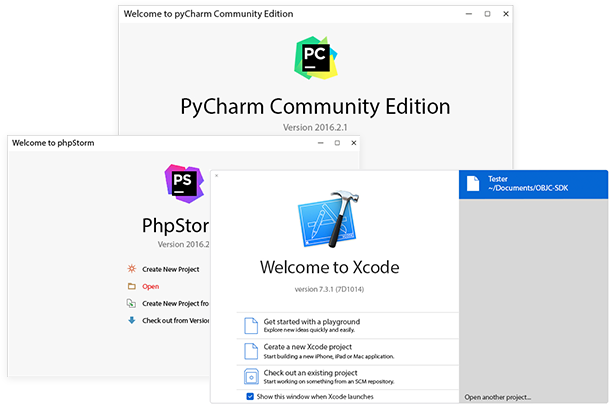 Take developers to their first “Hello World” without any hand holding. 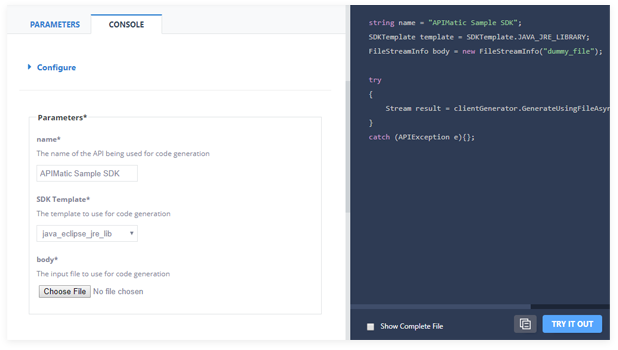 Exhibit the power of your API by providing live code samples which can be copy pasted straight into production. Use the APi Console to configure and manipulate Code Samples. Fix API Descriptions on the go. Edit API descriptions using the only visual editor in the world. 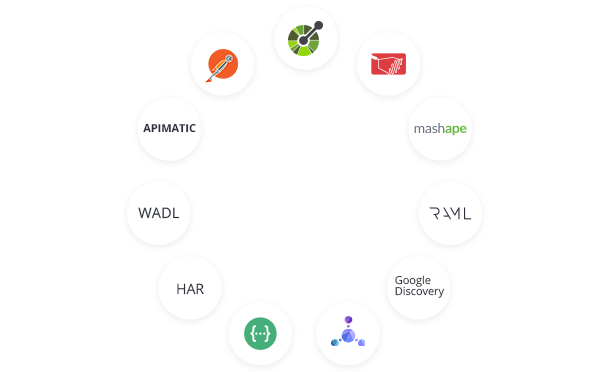 Transform between 20 different API Description formats. 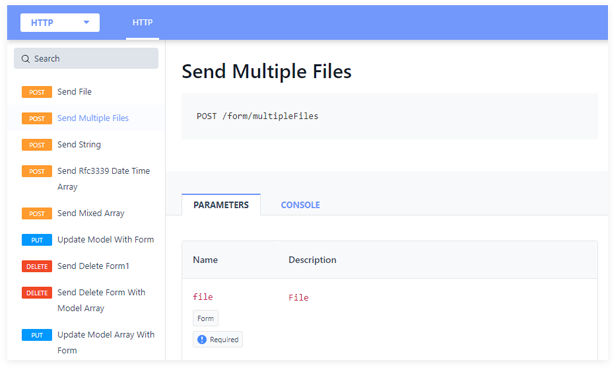 Host Your first API Docs with a console and Curl commands. Customize the way you want. Auto Generate everything using your API Description and all of that in less than a minute, from Login to your first SDK! 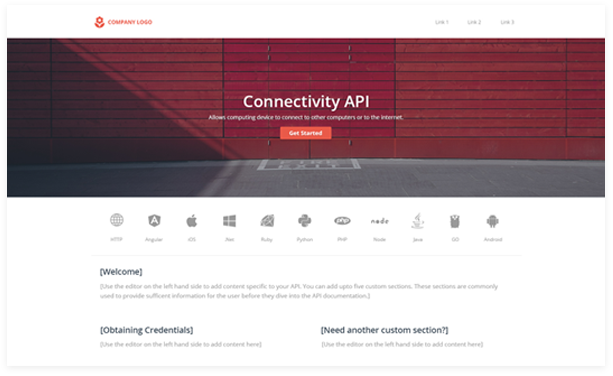 Host everything on a completely customizable Developer Portal.